£50 Breakage Deposit Fully refundable up to 7 days after Check out. Luxury 3 Bedroom holiday home situated in the Prestige Golf Village at Seton Sands Holiday Village Near Edinburgh. 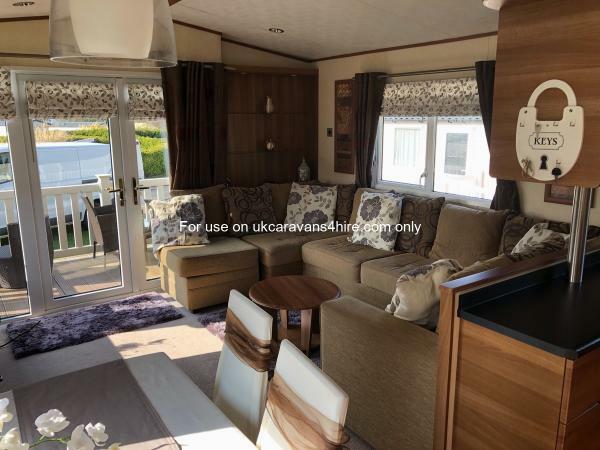 About Our Caravan: This Lovely 3 Bedroom caravan is situated in the golf Village with a lovely Tranquil out look yet a short walk to the main centre. Inside you will find ample room for Singles, Families or Groups alike. Full Gas central Heating in all rooms Double glazed throughout Free WIFI. The living area has a large lovely U shape sofa Wall Mounted Plasma TV, DVD Player, French doors leading to the Decking area with ample seating. The Kitchen area is home from home with, Full Size integrated fridge Freezer, Washing Machine, Oven , Hob, Microwave kettle toaster toastie maker, All Cutlery Crockery iron ironing board e.t.c. 2 x Single Beds with storage. Additional Info: Seton Sands Holiday Village is a little park with a big heart, and the perfect place to go when you want to escape the hustle and bustle of daily life. There’s so much to do here to help you relax and enjoy yourself, from our heated indoor swimming pool to a beautiful adventure trail and a 9-hole golf course with stunning views that makes for a perfect game whether you’re a beginner or a pro. If you want to explore further afield, the shops, restaurants and sights of the city of Edinburgh are just 30 minutes away, so you’ll never be at a loss for something exciting to do. We had an absolutely lovely time, Beautiful Caravan in a really really nice location. Outlook is stunning compared to others we have stayed at in this park. Not as close to the centre as others but only about a 5-6 minute stroll down hill. Wouldn’t hesitate to stay again. Thanks very much Alana for taking the time to leave a review. Hope to see you again in the near future.???? had very pleasant stay and was most definite value for money. would definitely recommend to any family looking. 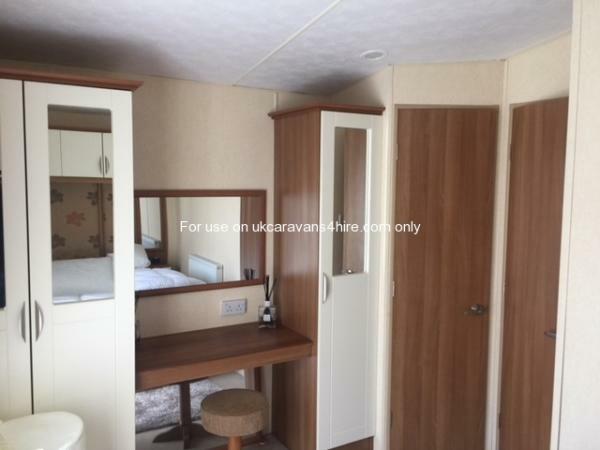 very clean caravan and in a nice location with friendly neighbours. will most definitely be back again. Thank you very much Caroline for your feedback we would welcome you back anytime.